TSE exe Executive MBA is TSE exe’s leadership development programme. Executive MBA develops future oriented leaders with a desire for renewal in the constantly changing business environment. The programme combines latest research with the understanding of contemporary development needs in organisations, resulting in a strong foundation for business expertise. Widening of the organisation’s networks with both customers and business partners. Strengthened employer brand and talent management; rewarding and enhancing employee engagement and commitment. In TSE exe Executive MBA participants have 1-3 day long classroom sessions approximately once a month. As we highly value our participants’ work-life balance and wellbeing, the classroom sessions take place during weekdays. The classroom activities in the EMBA programme are interactive, promoting inspiring discussions. Various learning methods are used, ranging from lecturing, group work, workshops, cases and company visits to recommended readings, presentations and assignments. During their studies, participants will reflect on their personal leadership growth and complete an Integrated Strategic Project. TSE exe EMBA programme consist of entities where the participants may vary during the studies. This creates more opportunities for networking and interaction as well as provides wider in-depth understanding of companies involved with the TSE exe leadership development programmes. Studies include peer and senior mentoring. Traditionally mentoring is a method in which the aim is to share knowledge, skills, information and perspective to foster the personal and professional growth of another person. Mentoring is an important part of EMBA, as we believe that learning with and from fellow participants (peer mentors) and from experienced senior mentors help the participants to reach new levels of personal development and growth. The TSE exe EMBA programme includes international study journeys to different parts of the world. The journeys are designed to broaden the participants’ perspectives on business, deepen their understanding on the global business environment and enhance the skills they will require in leading international operations.The journeys also provide a truly global view by looking into businesses abroad, extending networks, and stimulating a well-developed cross-cultural competence. The programme of the journeys is organised in cooperation with our highly acclaimed international partners. In TSE exe Executive MBA participants represent several industries, functions, age groups and cultural backgrounds. Participants might include engineers, lawyers, entrepreneurs and doctors e.g. The typical EMBA participant has several years of management experience and has a great lead​ership potential. The common feature of our participants is their willingness to learn more and a keen desire to develop themselves. The programme benefits from the expertise of top national and international academics and business people who work at the forefront of global business research and in global business. These experts are highly motivated and committed to sharing their knowledge and experience with the participants in the EMBA programme. The versatile assignments included in the programme ensure that the knowledge and skills acquired through studies are instantly applied for the benefit of the participants’s organisation. The participant can bring to the table a critical reflection of the current state of affairs, and will have it consulted with experts and fellow participants on problematic areas to offer an unparalleled source of insight into organisational development. We look for professionals who have already demonstrated business talent and leadership potential. The selection process is based on professional achievement and organisational responsibility and on the future career plans both from the applicants and the organisation’s point of view. To ensure a high-impact learning experience for all programme participants, we encourage applicants to apply with the background of diverse industries, countries, and experiences. TSE exe EMBA leadership development programme has a flexible entry three times a year. The programme’s length is apr. 24 months, however participants may make a personal study plan to complete the studies faster or slower (21-28 months). The tuition fee covers the teaching, study materials incl. books and lecture materials, project guidance, access to TSE library and information services, lunches, coffee refreshments and scheduled group dinners and visits. The tuition fee does not cover domestic travel or accommodation costs, nor the costs of the foreign study journeys (such as teaching fee, travel and accommodation). The costs of the foreign study periods depend on the location and the content of the journey, and they may vary annually. *) The study journeys abroad (two in total) are invoiced separately and are paid in addition to the total fee. The payment schedule for the EMBA programme is agreed with the participant. ”For me as an engineer, one of the main things I’ve learned in EMBA Turku programme is to see the different shades of grey, not just colours. I’ve recognised that what matters is how you use and apply the information and knowledge gained. ”Oma työurani edellyttää jatkuvaa opiskelua ja kouluttautumista. Erikoislääkärin ja dosentin pätevyydet saavutettuani olin valmis etenemään johtotehtäviin, mutta lääketieteellinen koulutus ei antanut mielestäni riittäviä valmiuksia asiantuntijaorganisaation johtamiseen liiketoimintaosaamisesta puhumattakaan. 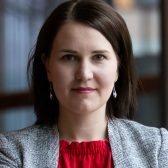 Varsinais-Suomen sairaanhoitopiiri on ymmärtänyt johtamiskoulutuksen merkityksen, ja nykyisessä työtehtävässäni leikkausyksikön osastonylilääkärinä sovellan eMBA-koulutuksessa oppimaani käytäntöön joka ikinen päivä. Turun eMBA-koulutukseen osallistuminen on antanut minulle tarvittavat instrumentit ja varmuuden siitä että pystyn johtamaan huippuosaajista koostuvaa organisaatiotani parhaalla mahdollisella tavalla. 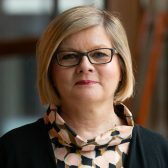 As part of the Turku School of Economics’ AACSB accreditation process, TSE exe (Turku School of Economics Executive education and Development) international leaderhip programme EMBA is been evaluated as well. According to the AACSB standards, we want to secure our EMBA programmes standard and further strenghten its four key focus areas: Visionary Leadership, Global Business Excellence, Innovation and New Business Creation and Personal Growth. On going evaluation process has no impact on on-going EMBAprogramme schedule. AACSB International (AACSB) connects educators, students, and business to achieve a common goal: to create the next generation of great leaders. AACSB provides quality assurance, business education intelligence, and professional development services to over 1,600 member organizations and more than 800 accredited business schools worldwide. AACSB’s mission is to foster engagement, accelerate innovation, and amplify impact in business education. The global organization has offices located in Tampa, Florida, USA; Amsterdam, the Netherlands; and Singapore. for visionary future leaders who have courage and motivation to develop themselves. Welcome to the future oriented Executive MBA! TSE exe EMBA programme is strongly oriented to the future: it aims at providing knowledge and skills on how to look far ahead. Drawing from the specific areas of expertise in the faculty of Turku School of Economics and University of Turku, our EMBA programme creates great potential for growth in leadership. The particular strengths of the programme include an excellent student body and teachers, strong ties with the business world, unique processes for personal growth, and outstanding support for learning from a highly competent EMBA team. The structure of our highly regarded programme is based on four specific and unique focus areas: visionary leadership; global business excellence; innovation and new business creation; and personal growth. These perspectives are employed to create an executive programme with a balanced mix of latest academic knowledge, practical business competence, real-world business cases and company visits, development projects that benefit the company, and peer-learning. We believe in personal development that begins with acknowledging and appreciating one’s own potential and qualities as a leader. The journey far starts from near.